has been officially granted a Patent for its innovitive drying technology. 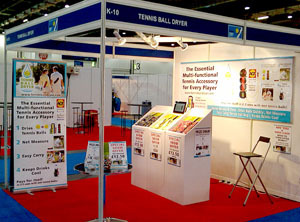 Tennis Event in Nottingham Nov 2010.
award Tennis Ball Dryer 5 out of 5.
top 6 best tennis gear review. Feb / March 2010 edition. Danny Sapsford, head coach at Grayshott Spa, hosted the charity event with Jerermy Bates, Lee Childs and James Auckland in aid of the Cystic Fibrosis Trust at Grayshott Spa. 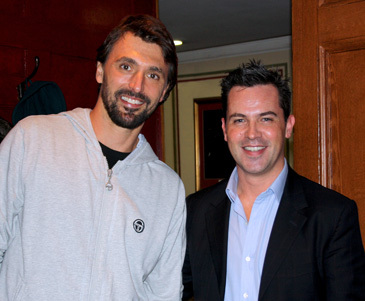 Jason Saunders, MD of Aspect Sports & inventor of the Tennis Ball Dryer, was lucky enough to meet Goran Ivanisevic on Finals Day after his superb victory against Tod Martin. 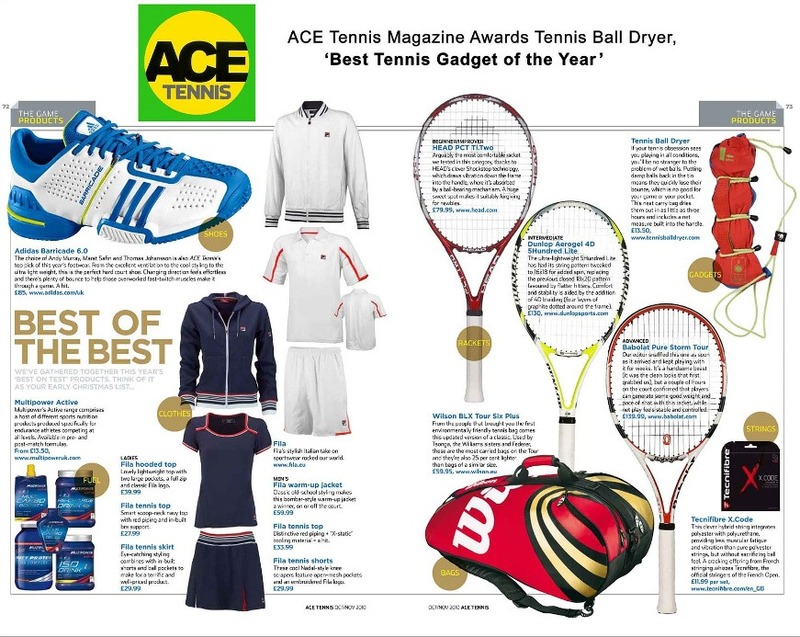 in the Tennis Gear Guide. 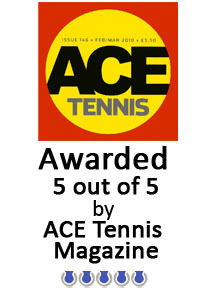 ‘Fab Five’ Gear Guide for Tennis Players. link to news item here.